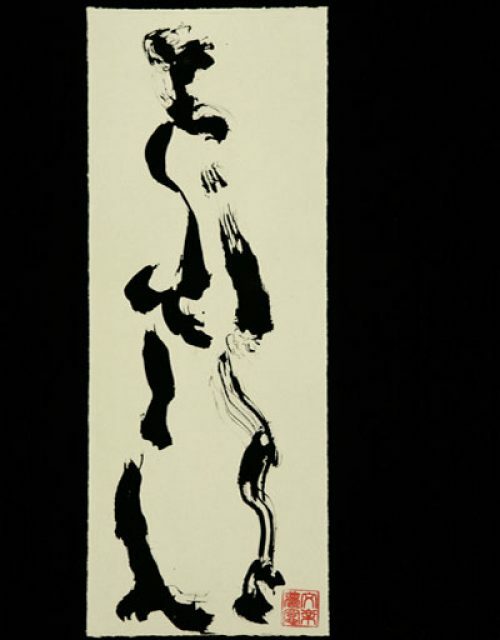 The word “Sumi e” is a Japanese word. 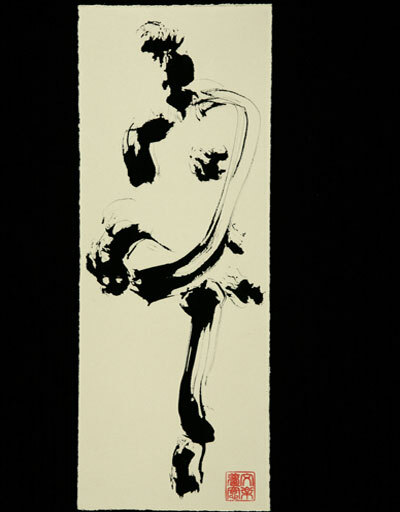 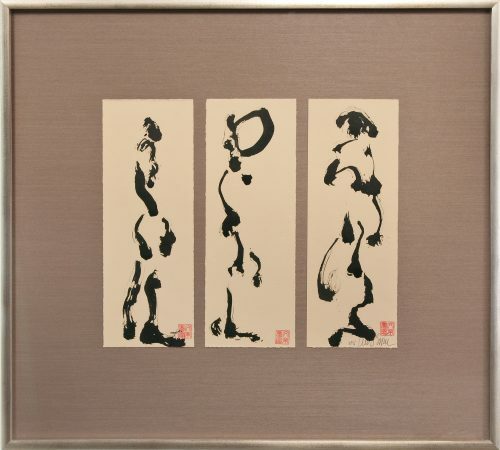 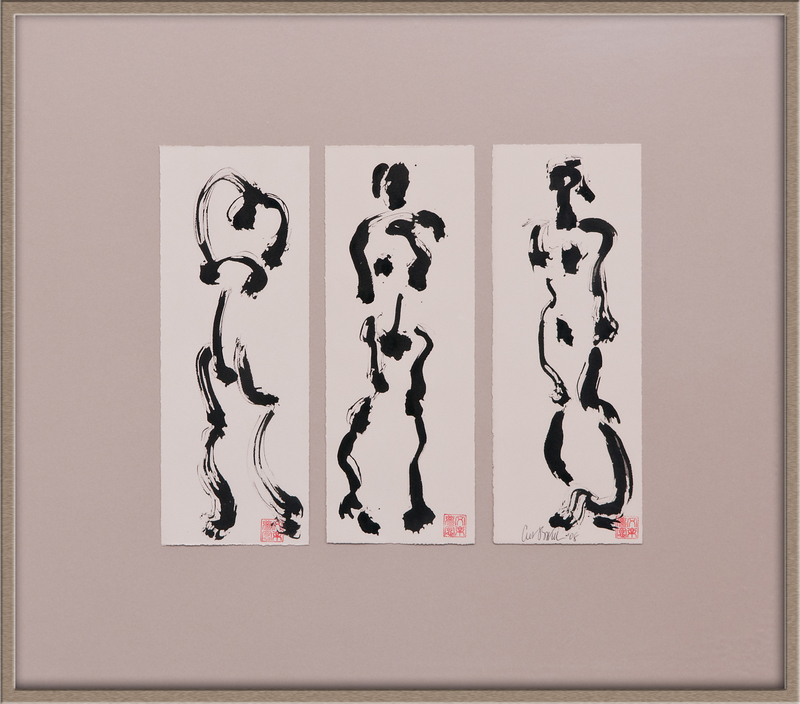 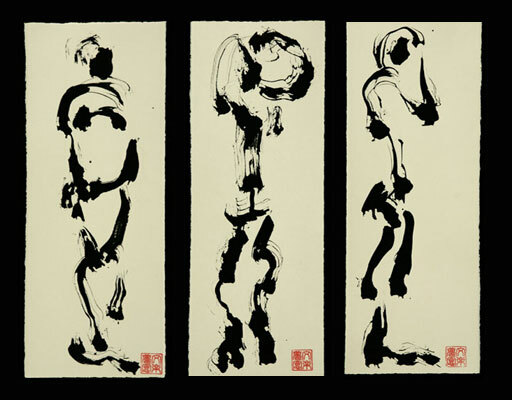 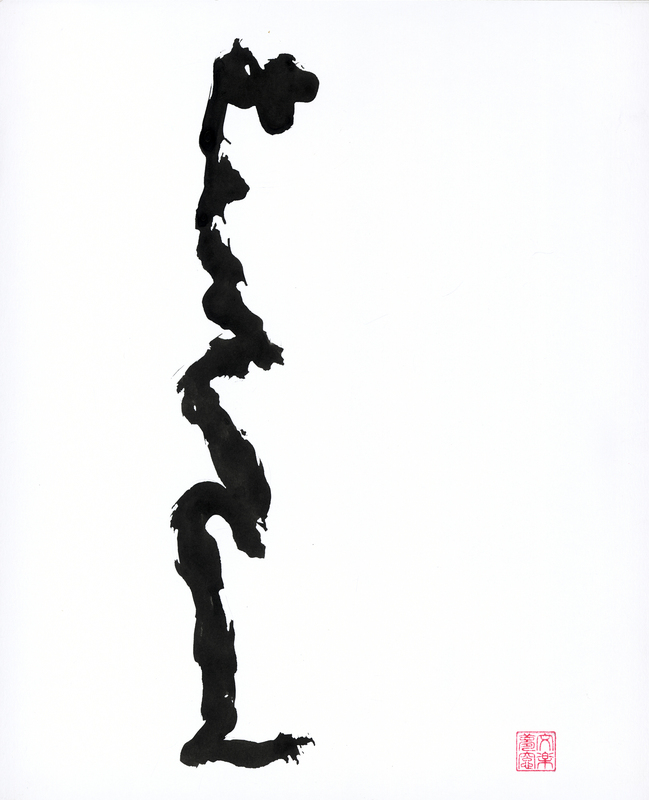 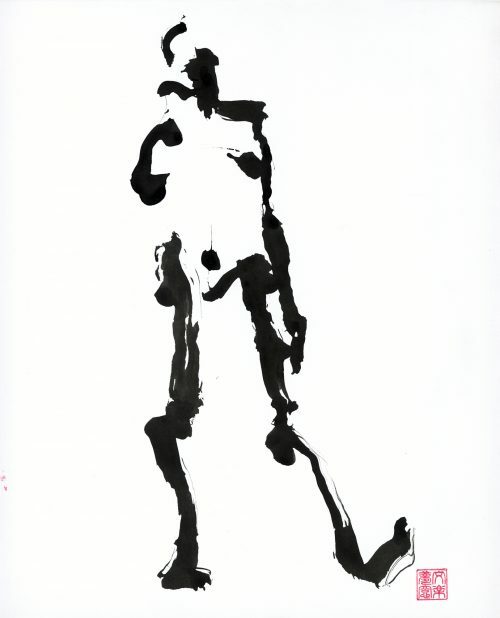 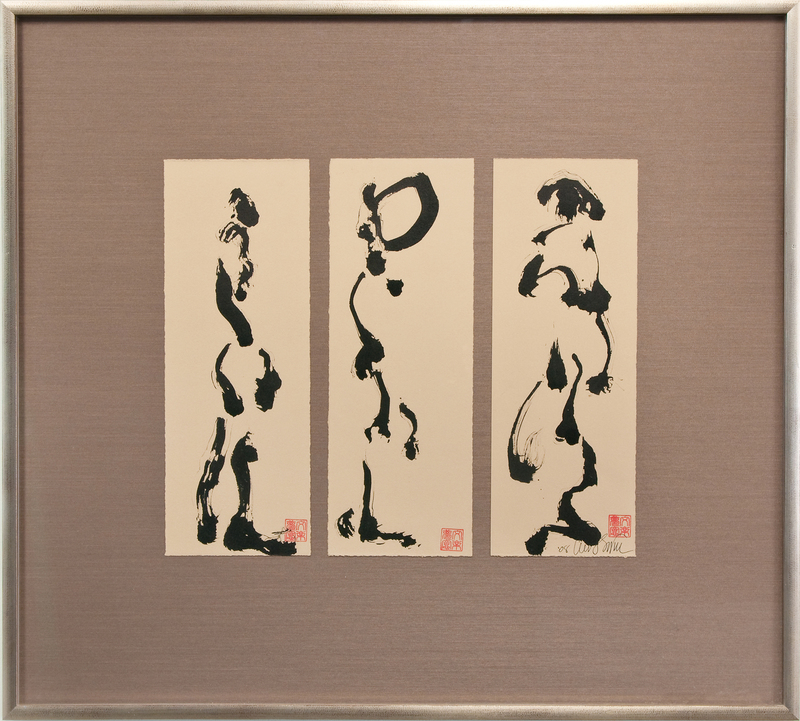 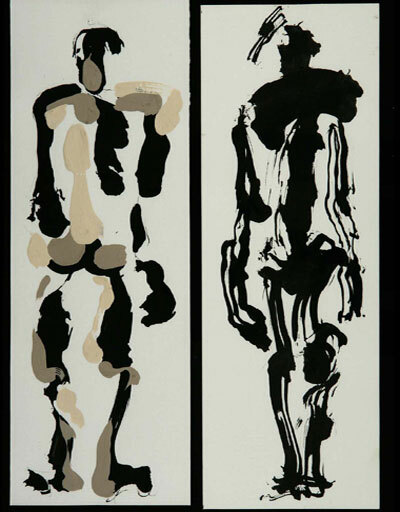 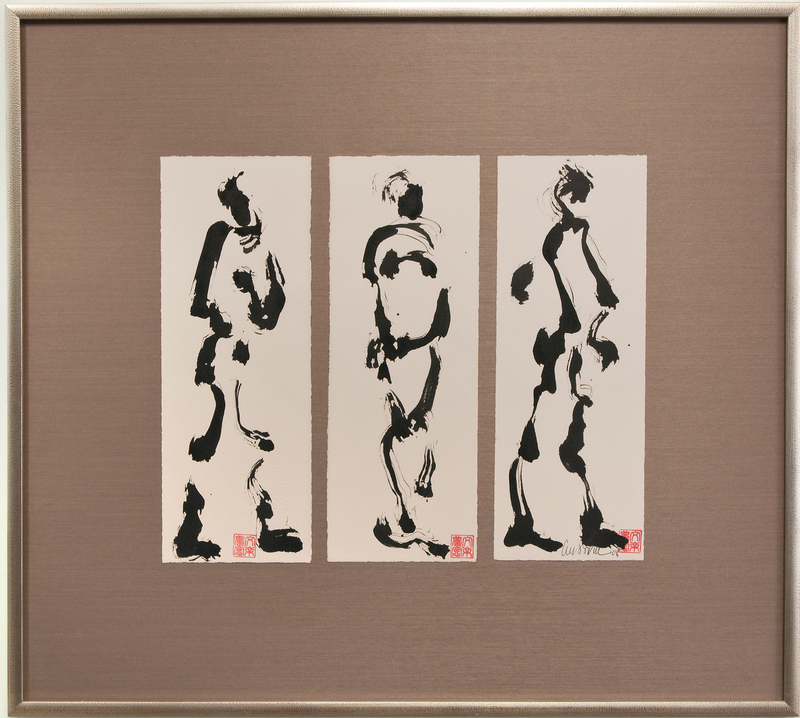 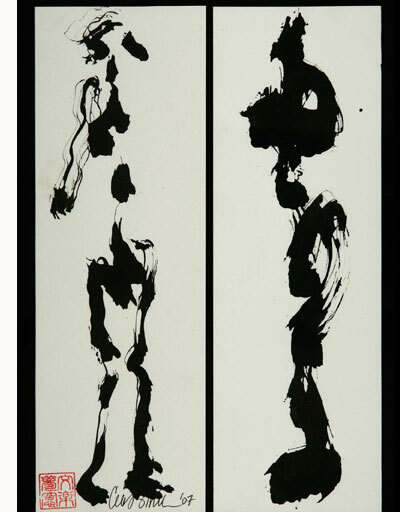 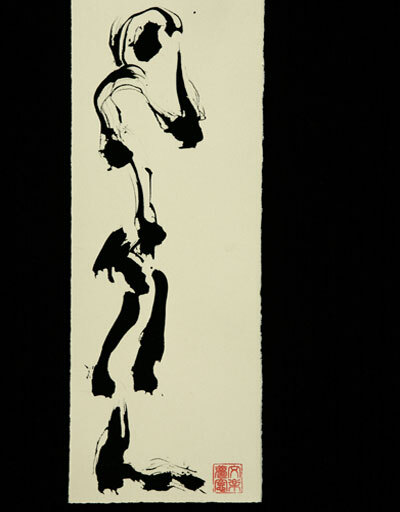 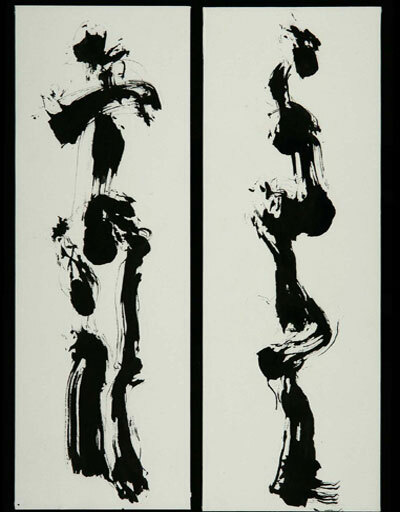 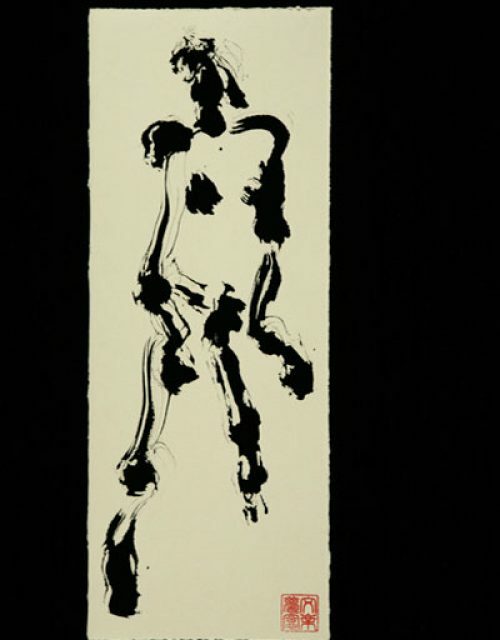 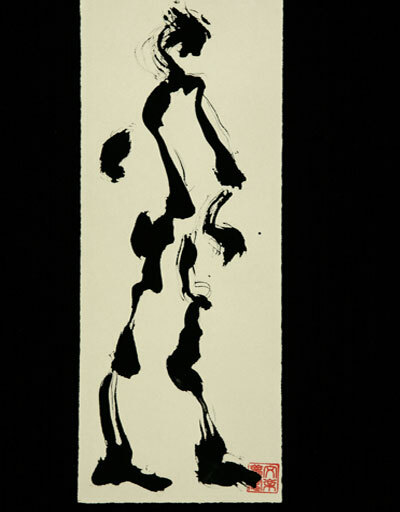 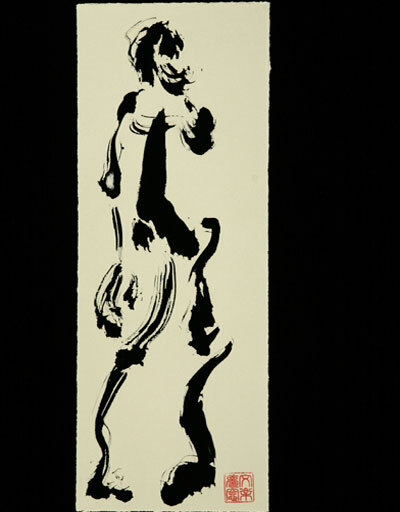 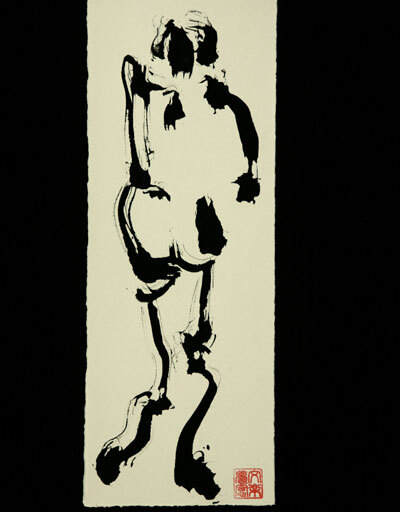 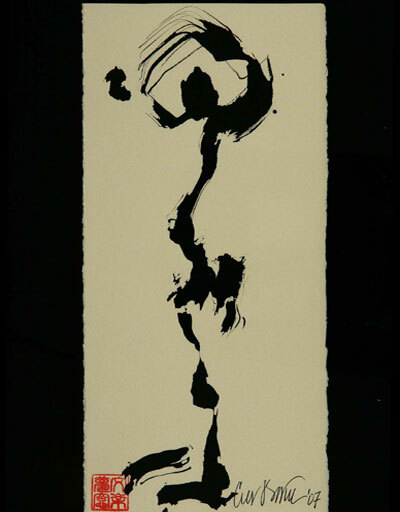 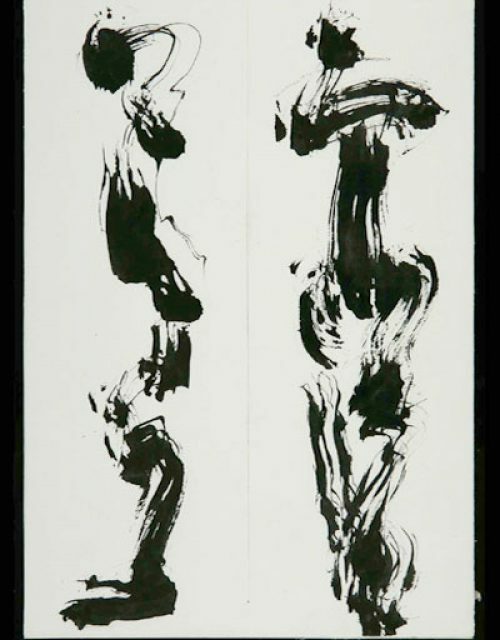 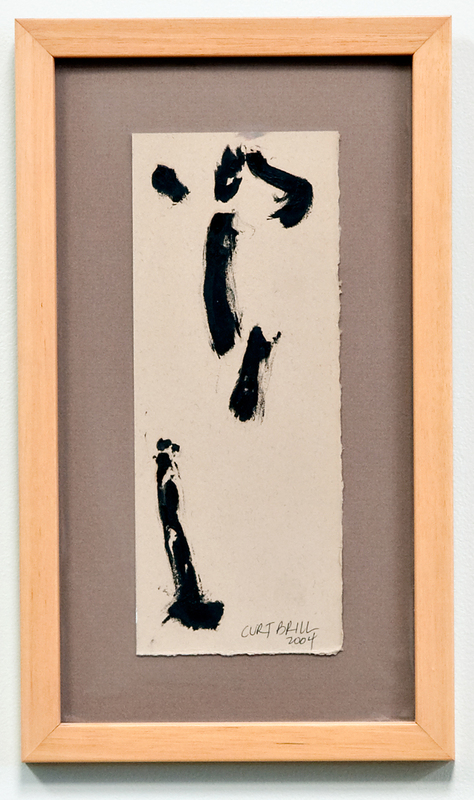 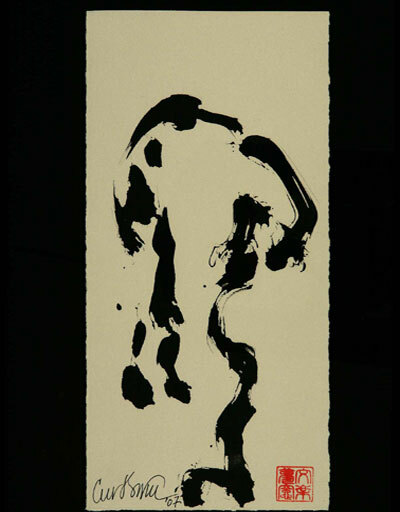 Sumi means charcoal, which was traditionally used for the production of the ink and “e” is the Japanese word for picture. 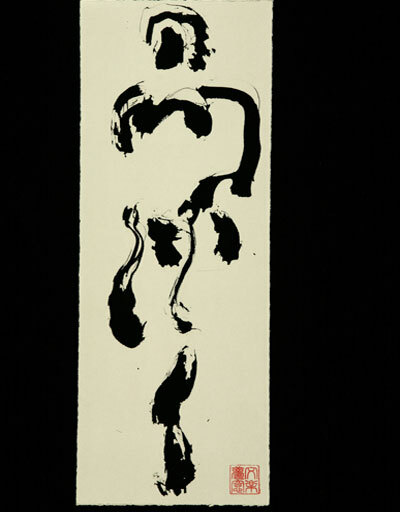 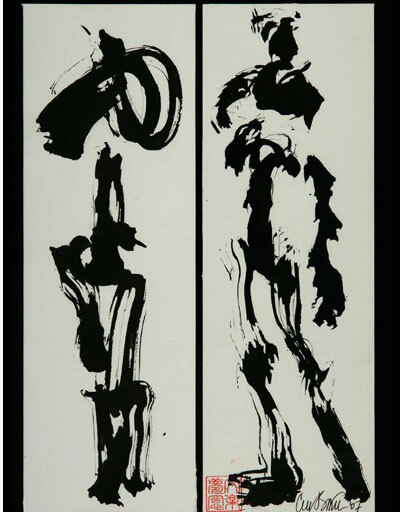 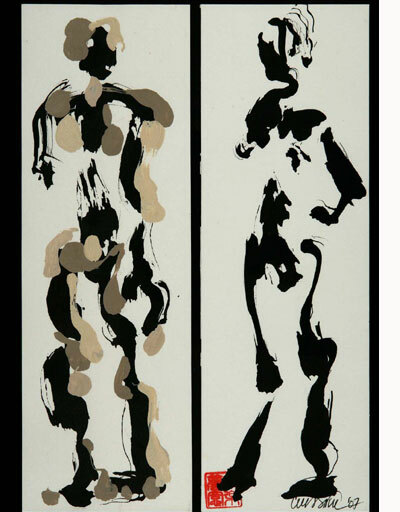 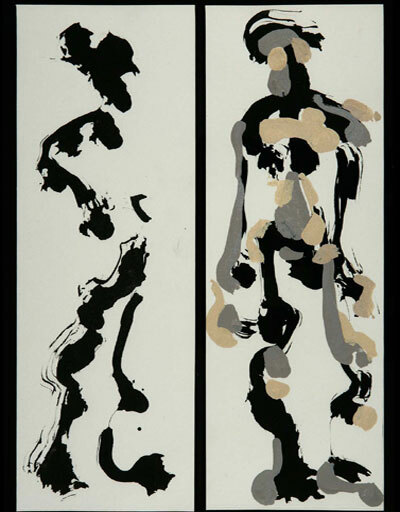 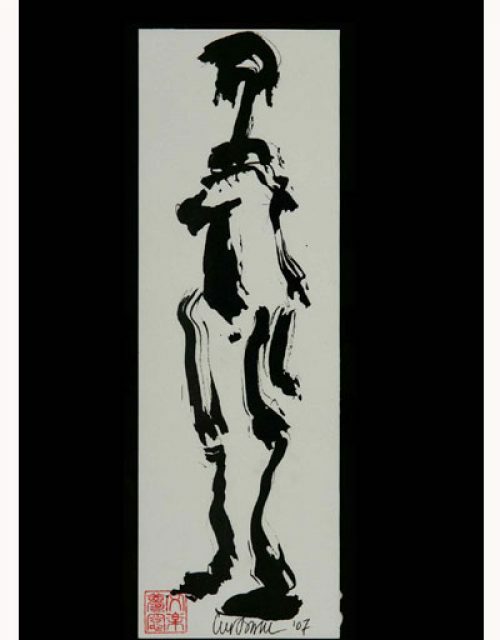 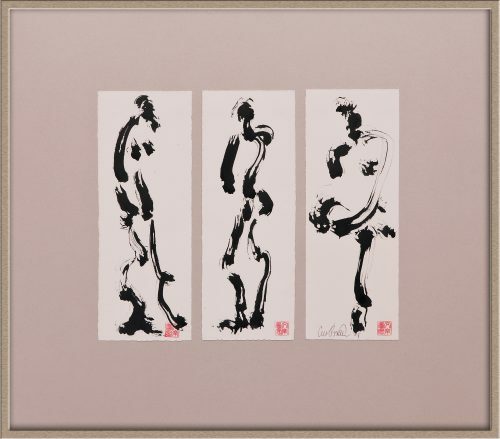 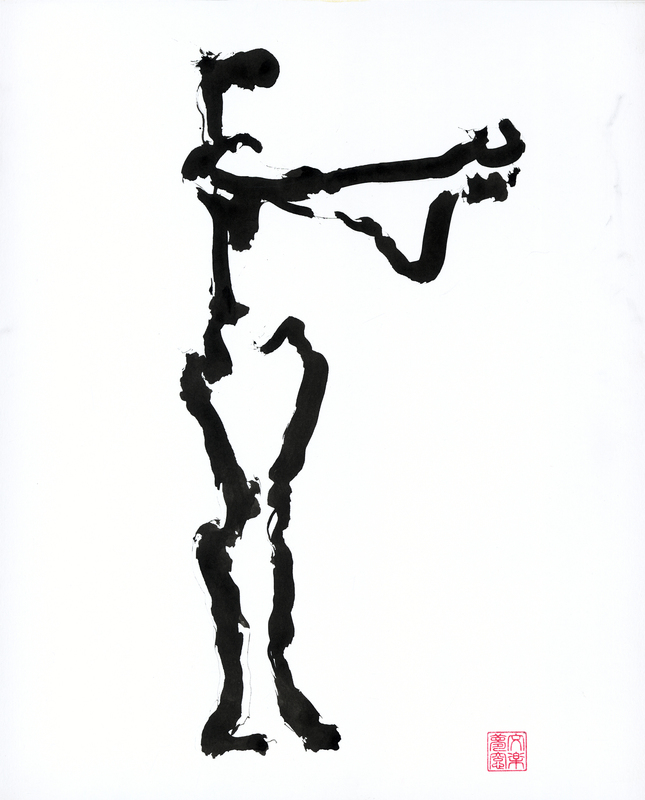 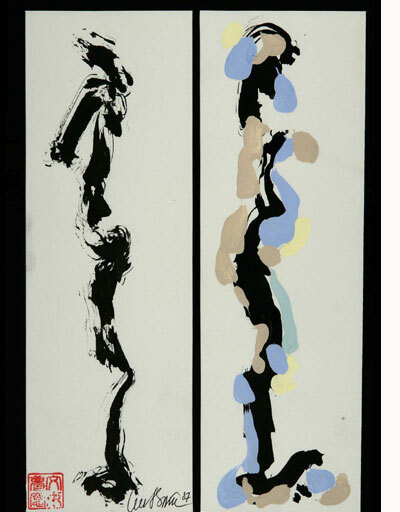 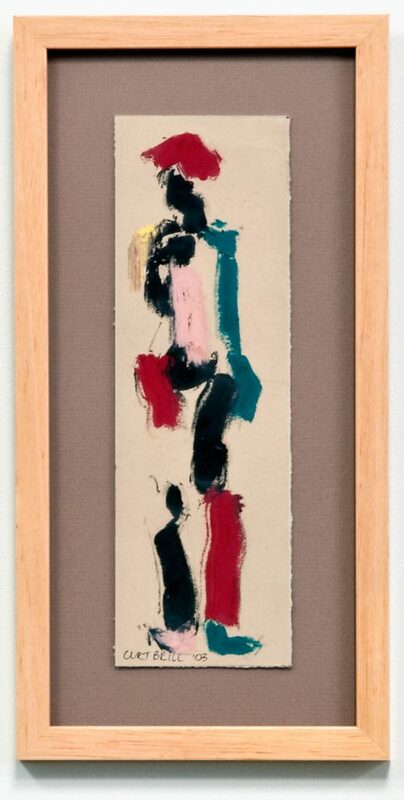 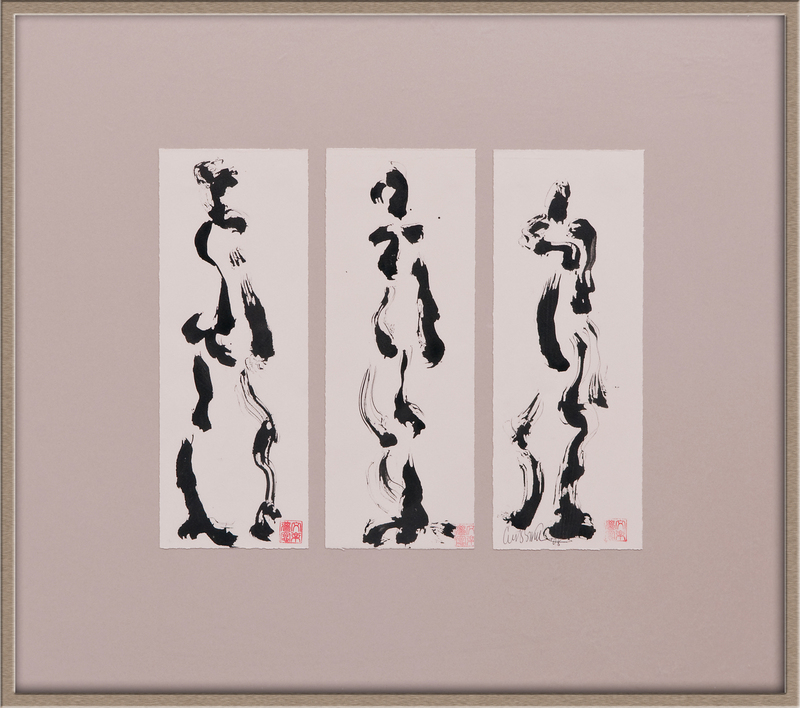 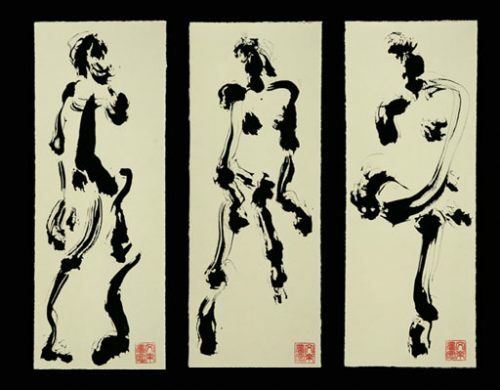 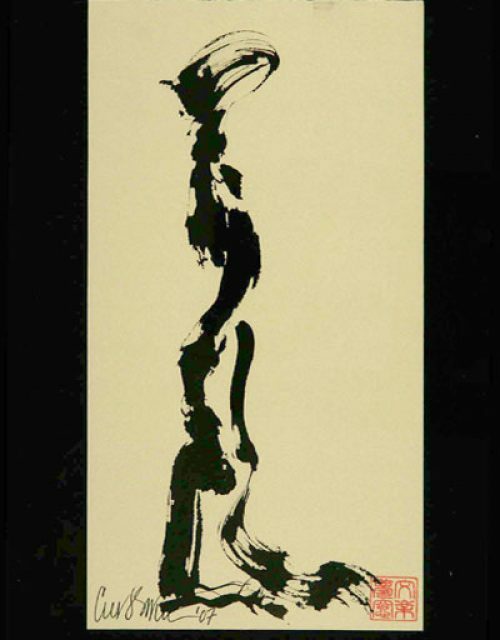 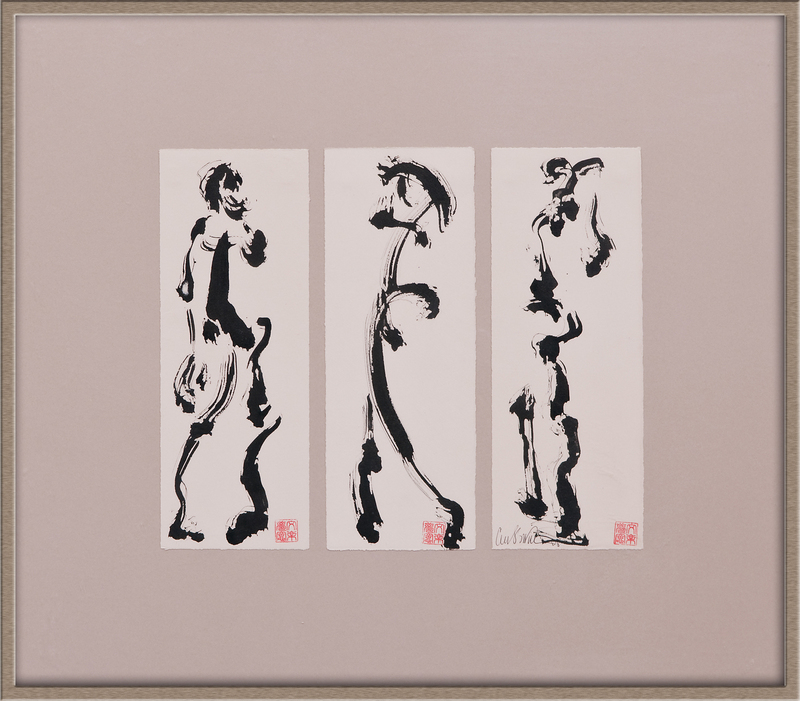 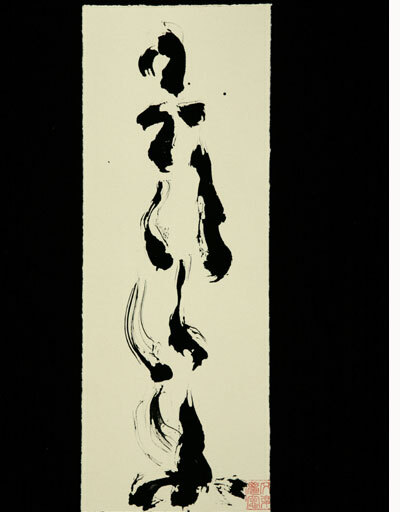 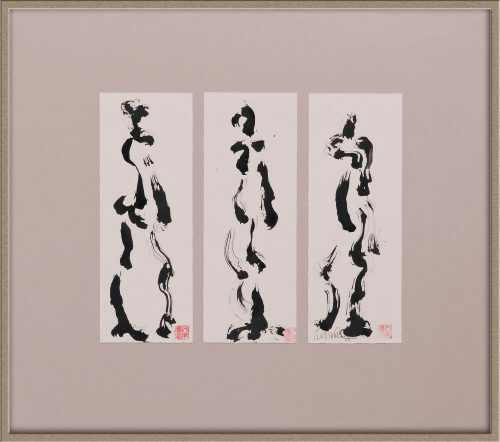 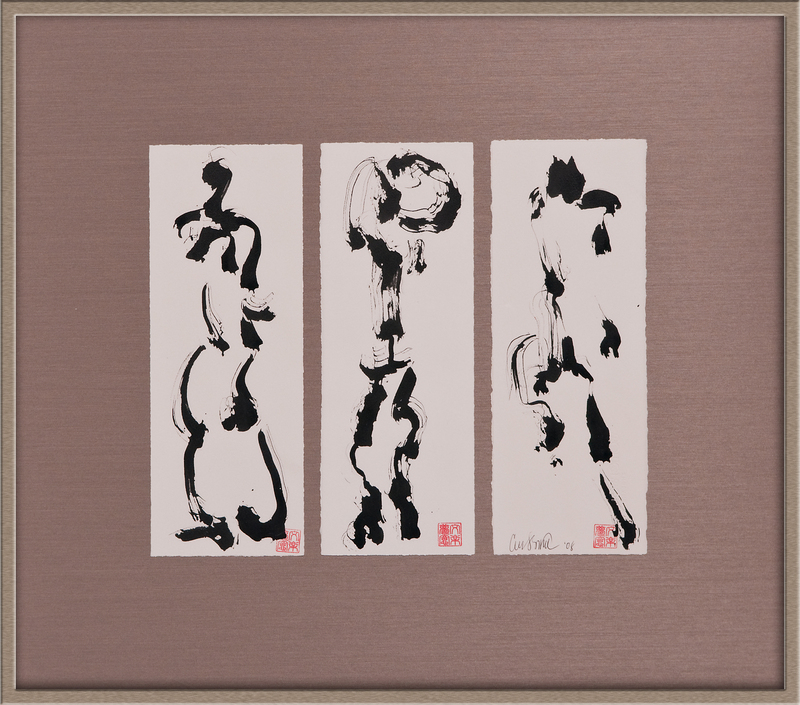 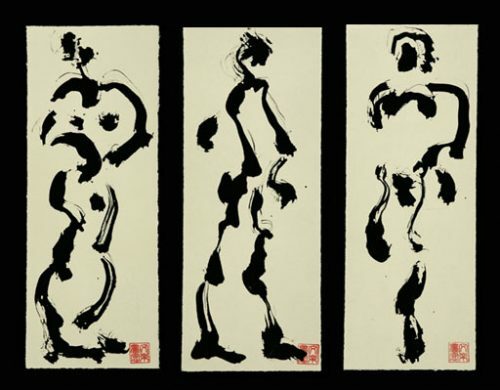 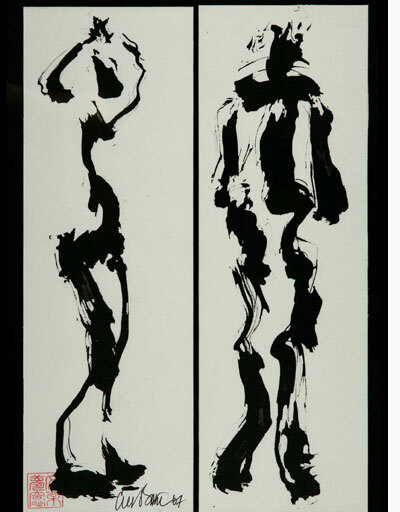 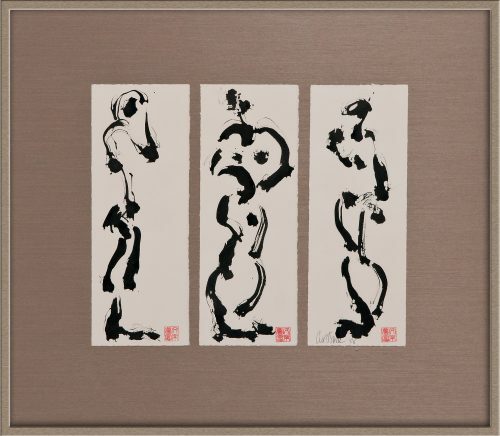 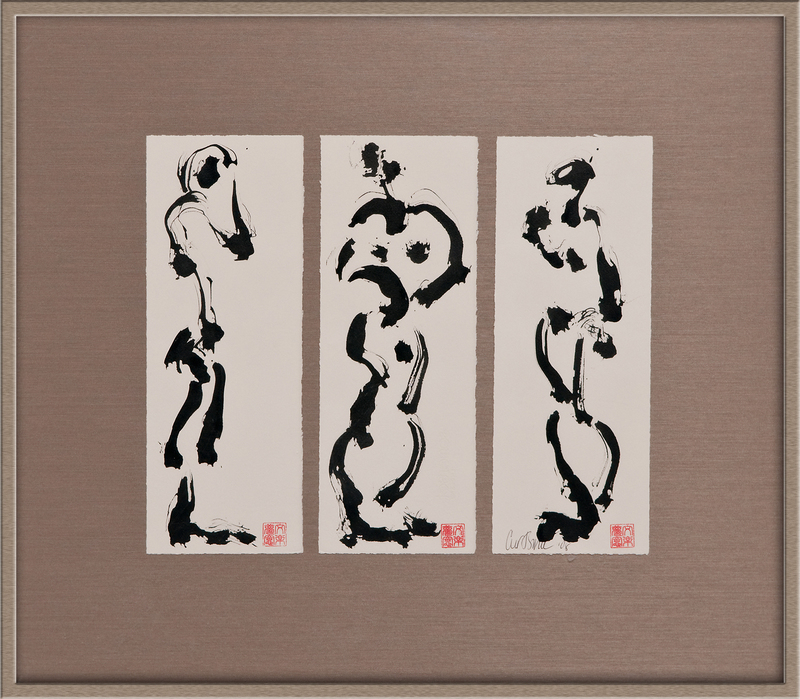 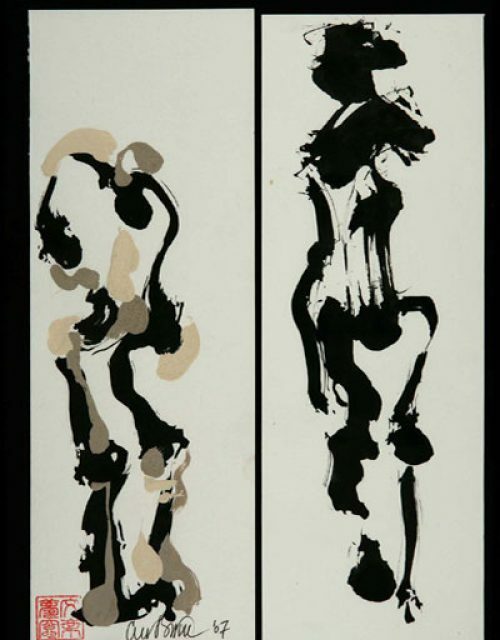 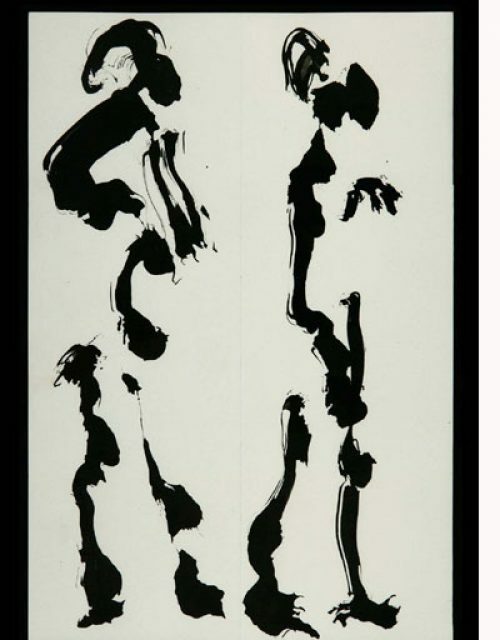 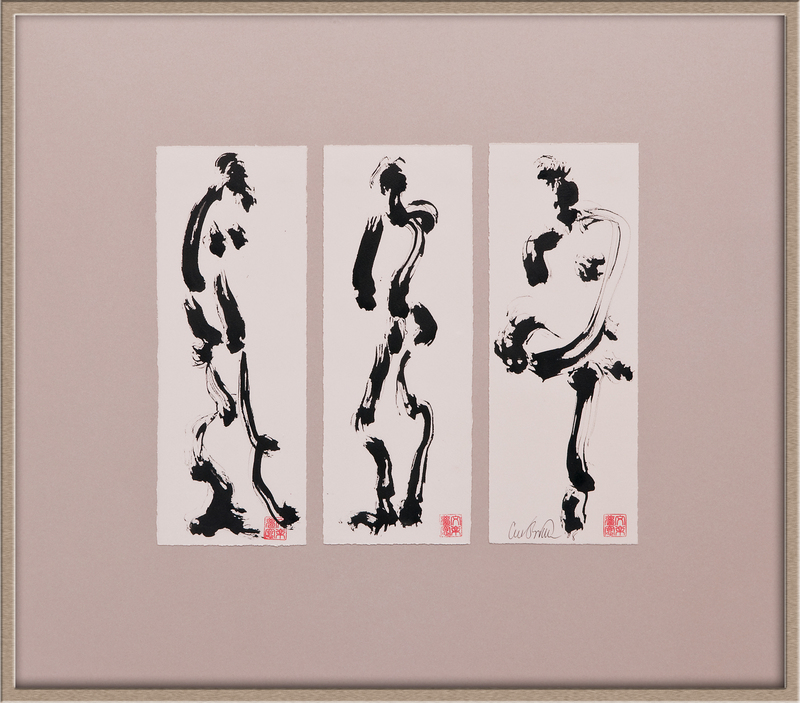 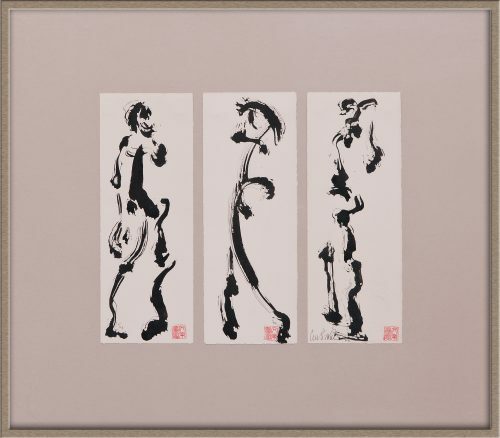 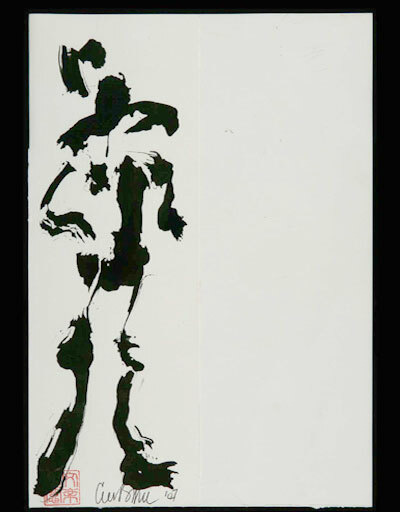 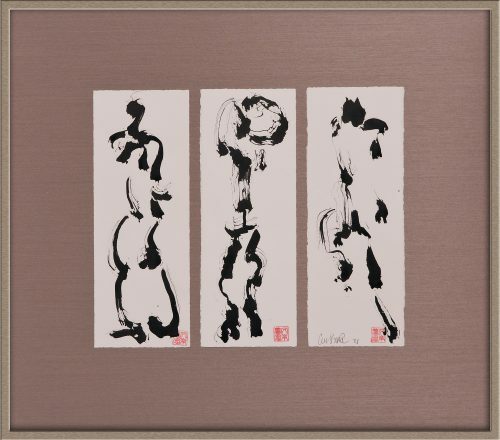 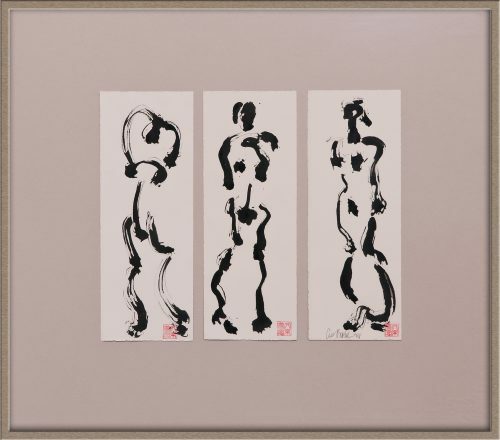 Put together you have what is thought of as Japanese calligraphy. When I do brush work there is some sense of the marks looking a bit like Japanese word characters but more importantly is to allow the flowing ink and loose brush to share the journey with my hand and my eye.